Any purchase over $3,000. 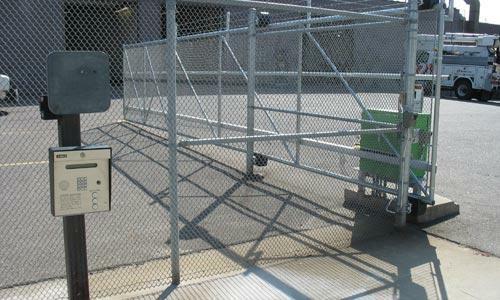 Access control for slide, swing and barrier gates. Durable, high-performance products. Complete easy-to-install materials with step-by-step instructions. Both industrial and commercial vehicle access gates are opened and closed many times during a typical day. If operated manually, this process is extremely inefficient and can cause delays and vehicle backups. Automatic gate operators are the answer to this problem. Controlled in many ways, from an operator opening and closing the gate to remote operation, using keypad codes, radio signals, card readers, and many other methods, they make the process simple, in all types of weather conditions. Our security gate company can supply a full range of automatic gate control options. 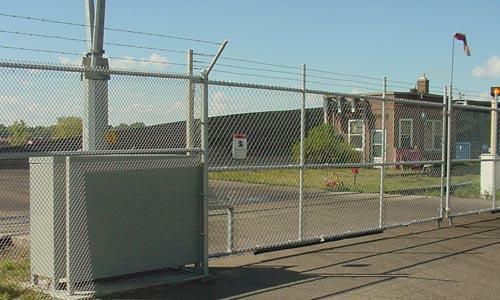 This decreases the time it takes for each vehicle to pass through the gate and improves security at the site. 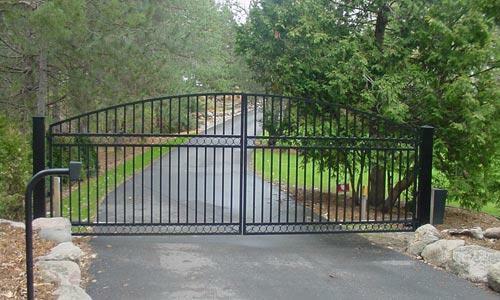 Even residential vehicle gates, especially on large estates and agricultural properties, often use gate operators to increase security and for the convenience of residents and guests. Our fence and gate supply company has selected a group of state-of-the-art electric gate operators to offer its customers. 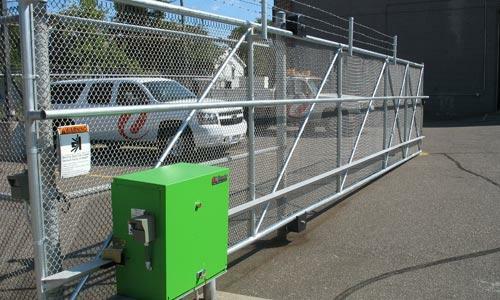 Available in capacities capable of operating gates of any size or type, these automatic gate operators provide reliable, secure, and effortless operation of gates for any application. 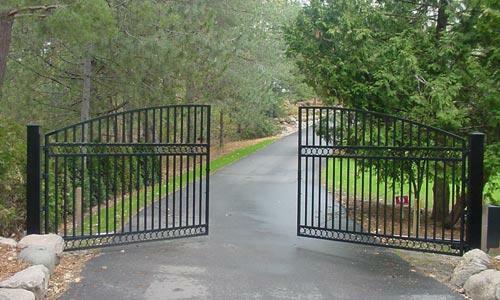 In addition, we offer specialty gates, complete with operators, for specific purposes. 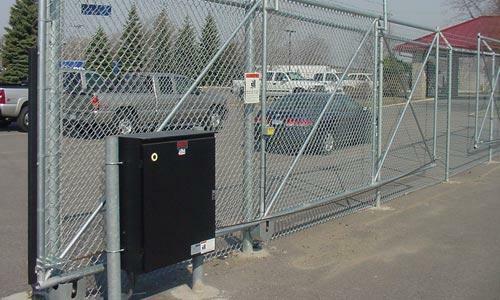 Our Slide Security Gates, Traffic Barrier Gates, Vertical Pivot Gates, and Vertical Lift Gates are especially designed for unique situations and are self-contained, easy to install, and are available with a wide range of access control systems. As with all International Security Products fence and gate products, our volume purchasing power lets us pass our deep discounts on to our customers, while our long experience and expertise lets us help you select and specify exactly the products that suit your needs. Browse each automatic gate operator category. Each of the gate operators is selected for their reliability, durability, affordability and control features. 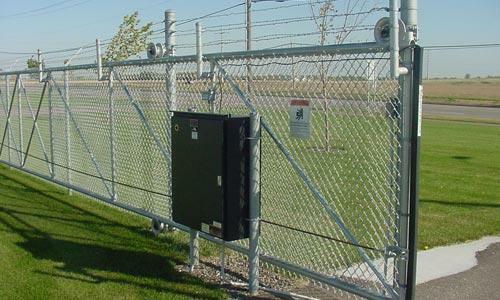 For each type of gate, we have a full range of electric operators that vary in prices and features. We will be happy to discuss what models best match your needs for automatic gate control. Call or email us to get a free quote on how much your new or replacement gate operator costs. 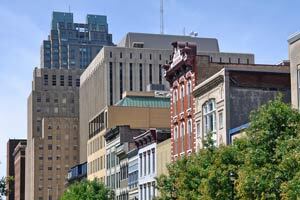 Our prices are the lowest available and you save even more with our low-cost shipping. Plus, we provide installation support. If Hurricane Florence or later river flooding put your gate operators out of commission, act quickly. If you need replacement equipment, local suppliers may not be able to meet your needs immediately. 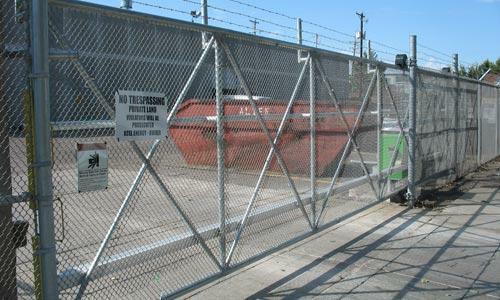 Restore access and security by calling our direct-shipping gate operator company. We’ll help you select the right equipment and quote you a great, low price based on our volume purchasing agreements. Then, we’ll arrange for immediate shipping, directly from Linear or other manufacturers. We know you need an immediate response, so we’re standing by to assist you. Did you experience flood damage from Hurricane Florence at your South Carolina location? 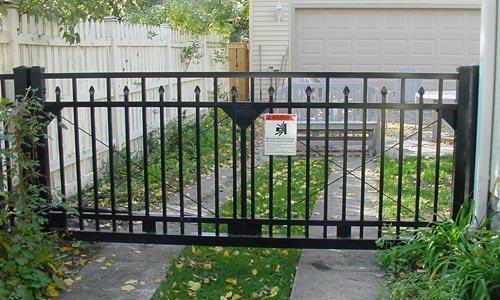 Are your automatic gate openers non-functional due to water damage? We can help. Call on us for gate operator products from Linear and other manufacturers. We’ll arrange direct shipping from the manufacturer. We won’t gouge you on price, either. Instead, will give you our lowest possible price quote and help you take advantage of our volume-purchasing discounts. 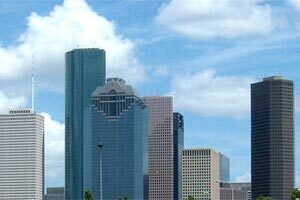 Hurricane Harvey and its resulting flooding has caused extensive damage to many properties, including residential, commercial and industrial facilities. Numerous automatic gate openers were also damaged, creating access and security problems that require immediate attention. 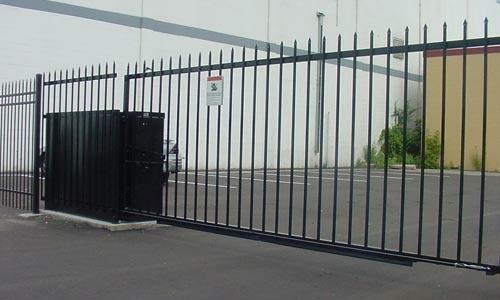 Most often, immediate replacement of damaged gate operating hardware will be needed. Our direct-shipping security products company can deliver the gate opening and closing equipment you need quickly and at great discount prices. One call to us brings you exactly the gate operator equipment you need, with expedited direct delivery from the manufacturer, letting you turn your attention to other storm damage issues. 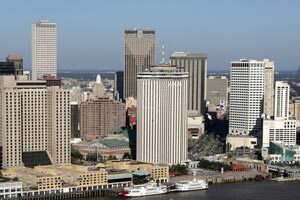 Everyone in Louisiana remembers Hurricane Katrina and the extensive damage flooding associated with that storm caused. 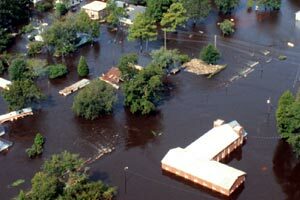 The areas near New Orleans are frequently subjected to flooding conditions, which can damage many structures and equipment. 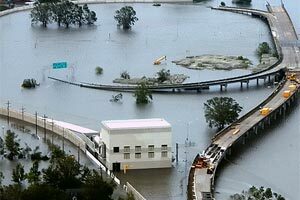 Flooding from Hurricane Harvey was not as bad as during Katrina, but residential developments, commercial businesses and industrial sites have experienced flooding and failures of gate opening equipment. At this link, you’ll find information about discount-priced replacement gate operators of all types. 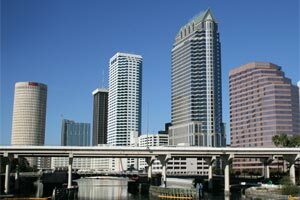 Over the years, Florida businesses, commercial installations, industrial sites and even multi-residential gated communities have faced damage from hurricanes and flooding. Hurricane Irma caused extensive flooding across Florida, from Miami, Tampa and St. Petersburg to Jacksonville, Orlando and Fort Lauderdale. 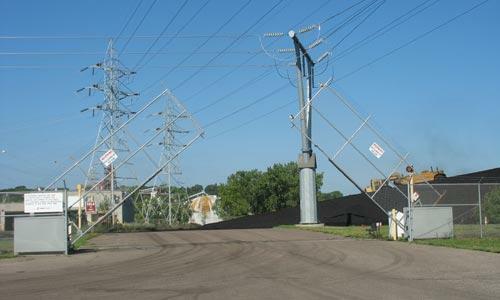 Among the systems damaged by flooding, security gate operators are often the first that need to be addressed, to allow secured access to the site and facilitate cleanup and other repairs. When replacement gate opening equipment is needed, local suppliers often can’t supply gate operators quickly. Our Minnesota-based security products company is always ready to ship these units directly from manufacturers to expedite your repairs at the best discount pricing. 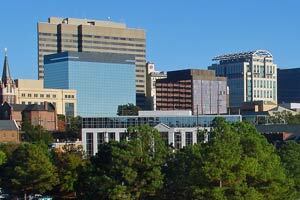 When hurricanes and flooding strike in any area, recovery is everyone’s highest priority. Once the flood waters subside, residential and commercial property owners begin to assess damage and seek ways to return things to normal as fast as possible. For properties protected by automatic gate operator equipment for sliding, swinging and barrier gates, getting those gates back into operation is important. We provide a step-by-step guide to the most effective recovery procedures. In some cases, fast action can even prevent the need to replace existing equipment. In Texas, Louisiana, Florida and other flood-prone areas, weather emergencies can take automatic gate openers out of commission at any time. Until replacement equipment is delivered and installed, commercial, industrial and residential properties must resort to manual operation and experience security issues following hurricanes, flooding and other disasters. Our premier security products company offers expedited direct-shipping of all Linear gate-operator equipment at the lowest possible pricing. Get the information you need here, and call us to discuss your needs with a gate operator specialist. When you’re thinking about automatic security gate operator systems, think International Security Products. We’ve selected the very best, most reliable electric gate operators available on the market, and supply them to our customers at great prices. Shipped directly to you from the gate operators’ manufacturer, they save you time and money. Our experienced security products specialists will be happy to help you select the operators and access control systems you need for all of your gate automation needs. Contact us today, or request a price quote on specific products. We’ll be happy to answer all of your questions and will dedicate ourselves to meeting your needs for quality and value.